Today, President Trump is poised to release a long-anticipated executive order to roll back the Clean Power Plan, the Obama administration's signature climate initiative. But while rescinding the rules could help slow coal power's decline in the short term, analysts say it is unlikely to reverse its long-term downturn, mostly due to the economics of natural gas and renewables. That attitude is shared not just by market observers, but by electric utilities themselves. 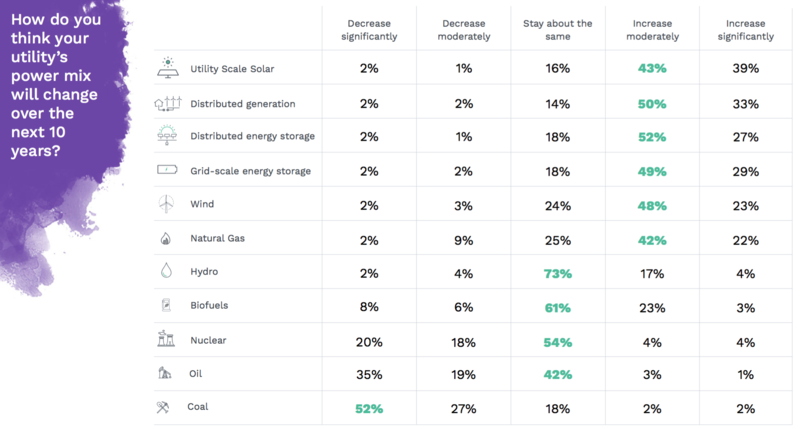 According to Utility Dive's fourth annual State of the Electric Utility Survey, the sector plans to keep moving steadily toward a cleaner, more distributed energy future — no matter what happens with the Clean Power Plan. 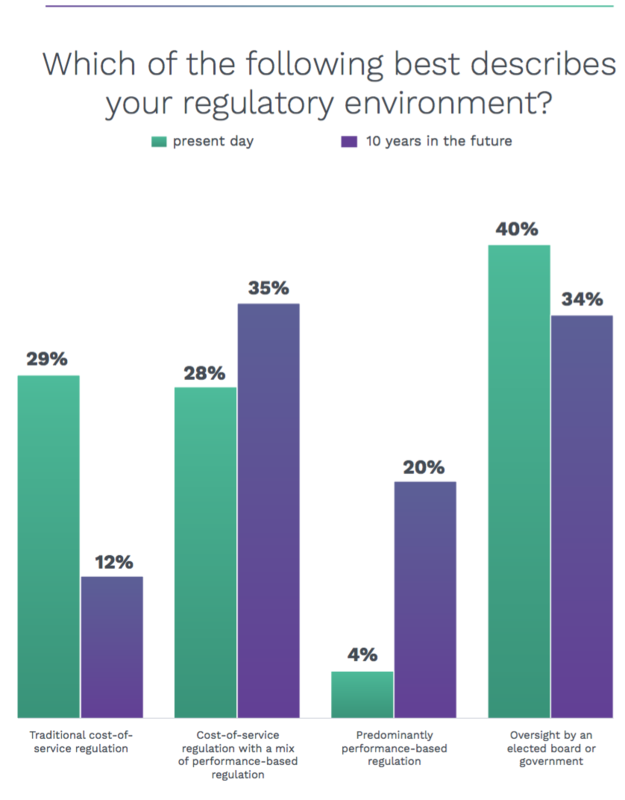 Those responses are two of the top-line takeaways from this year's 92-page report, which reveals a sector that is grappling for policy certainty on both the state and federal levels as it deals with an influx of new technologies and customer demands. Here are some more key findings from the report. 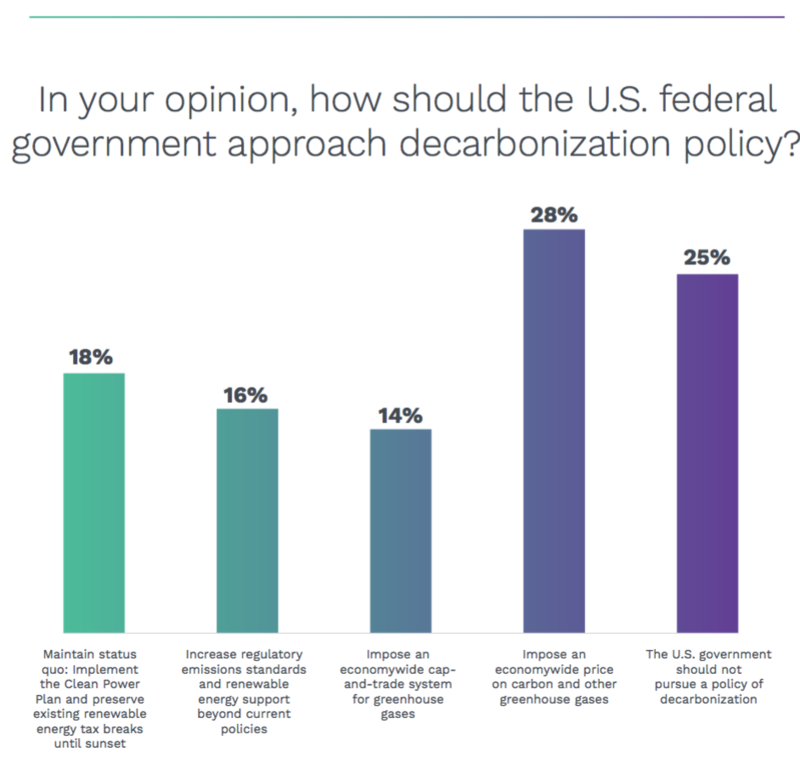 President Trump's push against carbon rules may grab headlines, but the 2017 survey indicates utility executives are significantly more concerned about other issues. 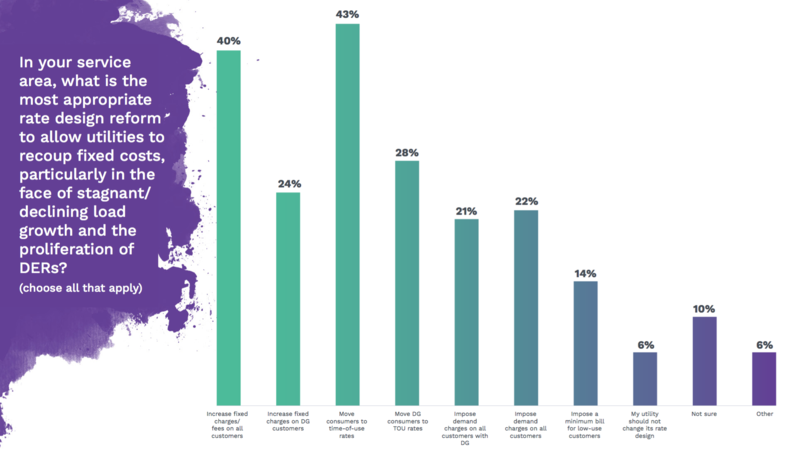 For the first time, physical and cyber security topped the list of utility sector concerns in 2017, with nearly three quarters of respondents indicating it is either "important" or "very important" today. The full chart of 20-plus utility challenges is available in the survey report. The responses reflect a "deep unease in the utility industry over the state of its cyber protections," according to the survey, after media reports of Russian election hacking and a scare over possible Kremlin malware at a Vermont utility. But security worries, while paramount to utilities, are far from their sole concerns. 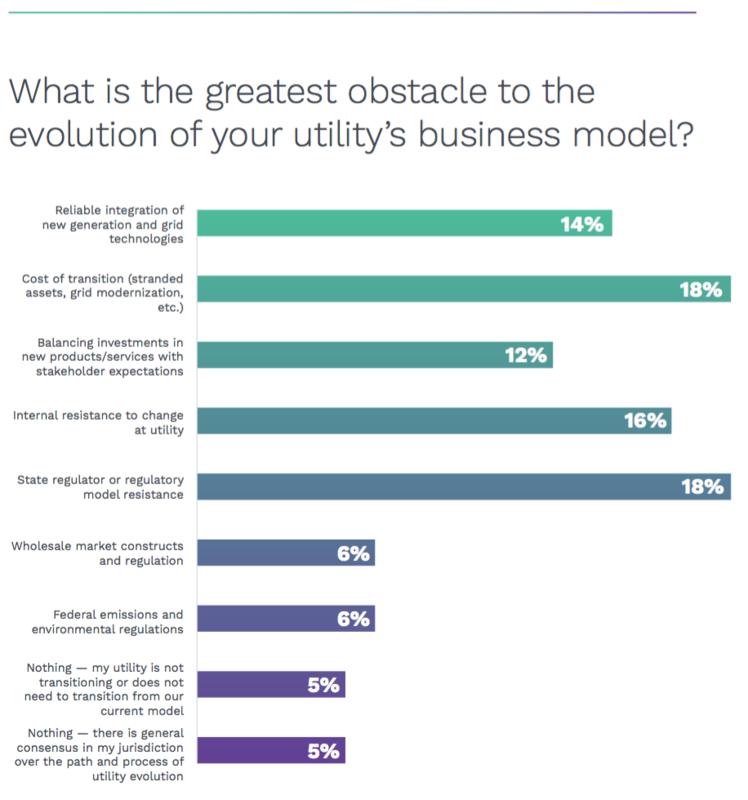 A majority of respondents indicated that the top nine issues facing utilities are either "important" or "very important" today, suggesting that the "growing complexity of the power sector and a rapid influx of emerging technologies are combining to create new concerns for electric utilities, while long-standing issues remain unresolved." The sector's uncertainty over the impacts of future environmental and market policy looms large in the 2017 survey. 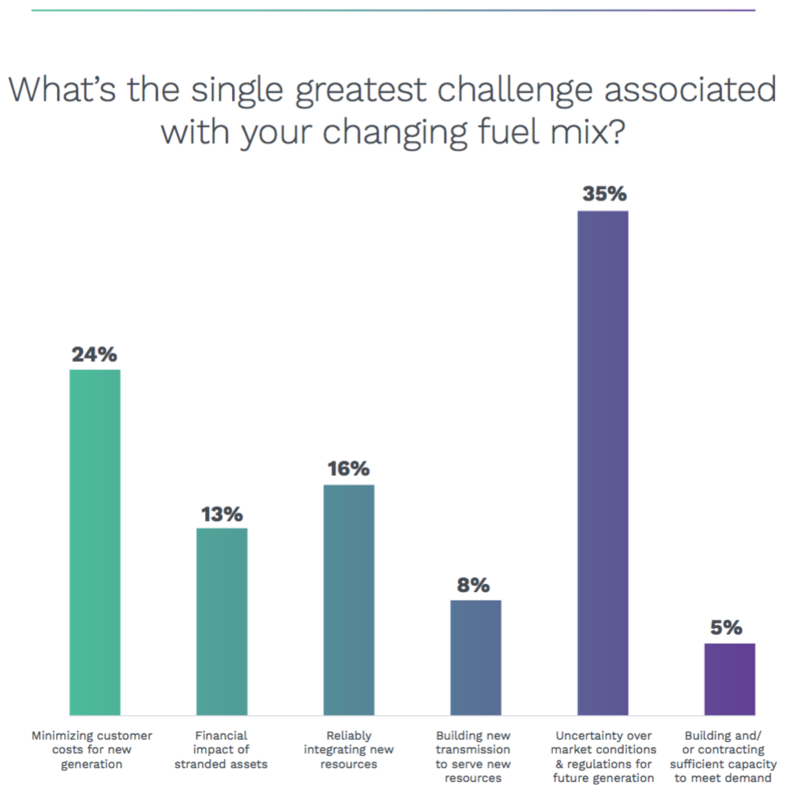 For the first time, respondents named policy uncertainty as the top challenge associated with their changing fuel mixes, beating out both customer cost and reliability concerns. 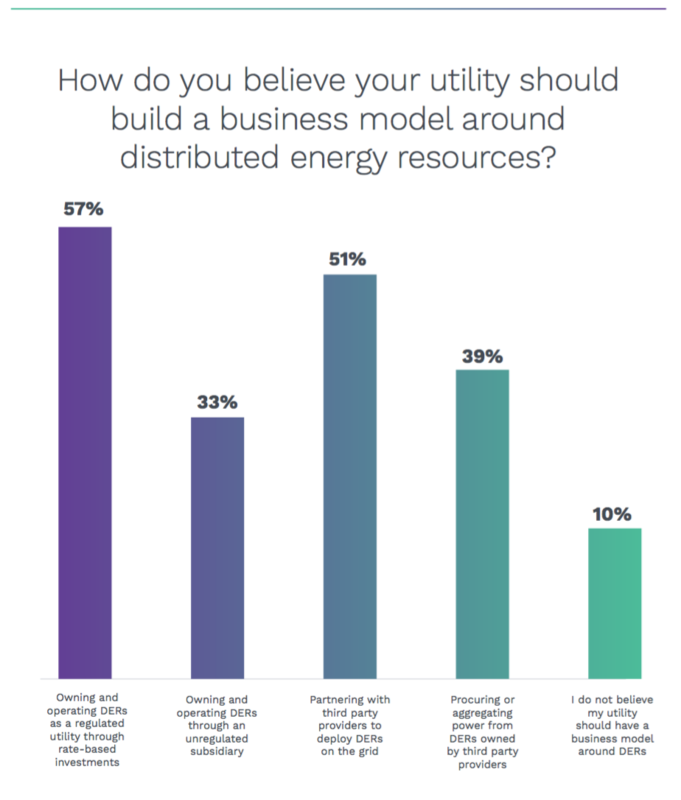 Utilities may prize certainty in most things, but if there's one aspect of the industry they overwhelmingly want to change, it's their regulatory models. 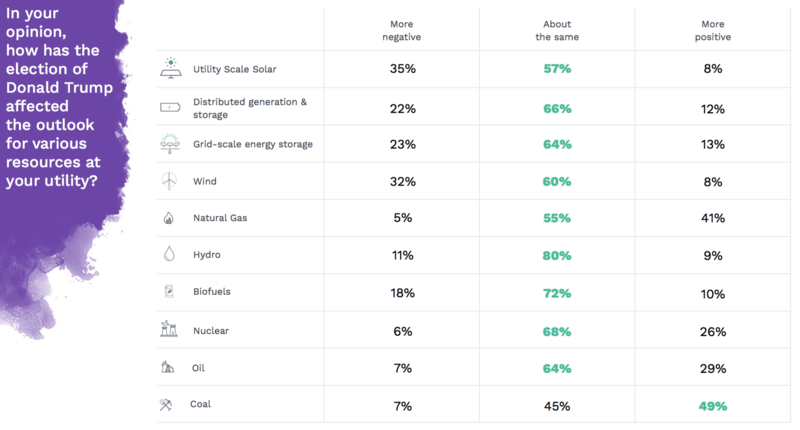 "In 2017 and beyond," the survey concludes, "the continued evolution of the power sector — and the goal of decarbonization — may well rest with these states and their utilities."